Your reviews of the services offer by TSP Lawns & Landscaping are the keys to our success. 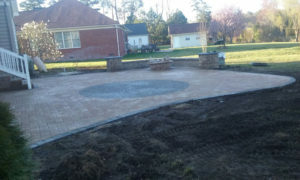 We value your feed back on everything from our landscaping services, to our custom patio designs. Below we have provided a one click solution for your feed back. So just click on the Facebook logo, or Google Places for business and then provide your feedback. Your reviews help us reward our employee’s, drive our training programs, improve how we respond to customer calls. With the state of technology today there are so many ways to post reviews or testimonials on the internet that it is a real challenge for the average user. By just clicking on any of the images for Facebook, Google Places for Business, or Angie’s we have provided a link directly to one of our social media sites. Just click on the graphic below. We really value your feedback.